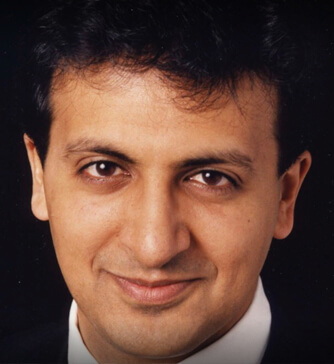 Rajiv Grover is a Consultant Plastic Surgeon and Former President of the British Association of Aesthetic Plastic Surgeons (BAAPS). Mr Grover graduated in Medicine with a distinction from London University in 1989 (St Barts Medical School). In 1993 he became a Fellow of the Royal College of Surgeons (FRCS) having been awarded the Hallett Prize. He then entered 8 years of higher surgical training in Plastic Surgery during which he was awarded a scholarship from the Royal College of Surgeons to train at Harvard Medical School in Boston, USA. He received a Doctorate of Medicine (MD) from London University in 1989 and has also been appointed as a Hunterian Professor at The Royal College of Surgeons. He holds the FRCS(Plast) and is on the Specialist Register of the GMC (3333666). His clinical areas of expertise are in cosmetic surgery and the treatment of skin cancer. He has a strong interest in improving safety and outcome following Surgery and is responsible for the UK National Audit of Cosmetic Surgery & Safety for the Royal College of Surgeons performed through the BAAPS.